January is always grey and after the Christmas snow the garden looks at it’s most bleak and uninviting! But as usual the sight of a group of planted dogwood always lifts my spirits. 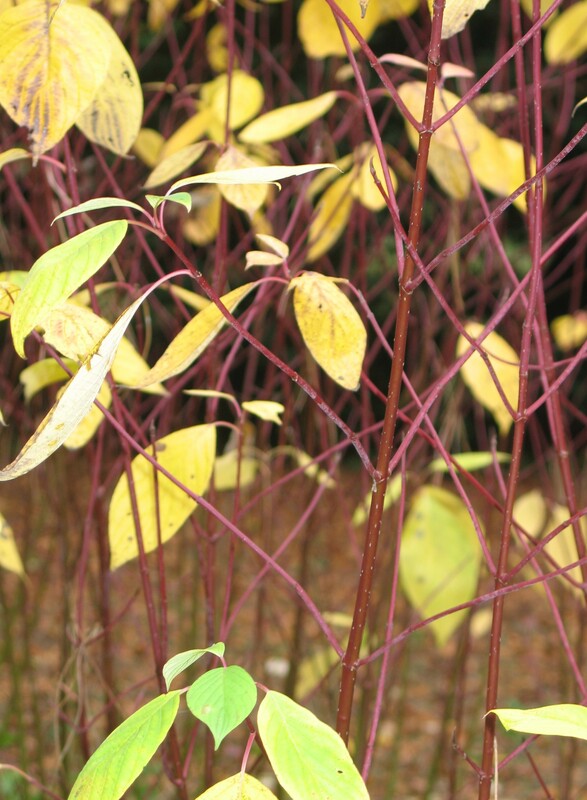 Grown for their bright stems dogwood looks stunning planted in groups and will lift any garden border in the winter. Whether you like strong yellows, reds through to dark purple there is a dogwood to fit your palette. They are also easy and fast growing so look good quite quickly. Plant them where the winter sun will catch them and you won’t be disappointed. 1. 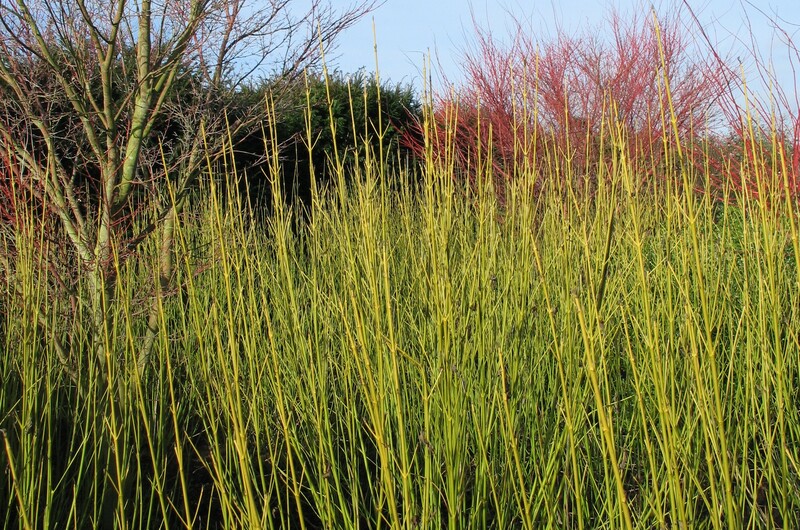 Cornus alba ‘Elegantissima’ – it has vivid red winter stems, but for me is equally attractive in leaf with it’s pretty grey/green variegated foliage. 2. Cornus alba kesselringii – has striking dark purple bark and attractive rich green leaves that become deep violet in autumn. 3. Cornus alba ‘siberica’ – which has dark green leaves but is grown for it’s coral red stems. One of the best Winter Gardens to visit now and see dogwood is the National Trust Garden at Anglesey Abbey.